Dota 6.60 Bug | Watch DotA 6.60 Bug After a long waiting for this map. Here is something which the players don't want to be. 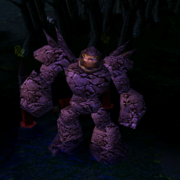 We found a bug in DotA 6.60. We hope that Icefrog will do something for it and remove this bug in Other versions. What is the bug and where is it mentioned?